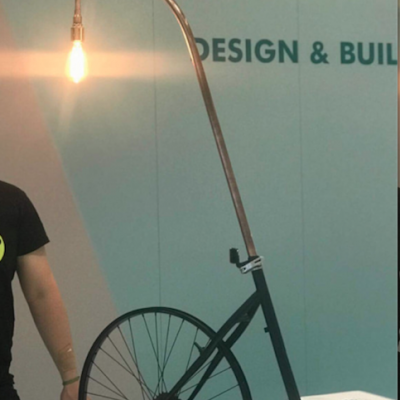 This floor lamp is an absolute one of a kind statement piece and was featured at Grand Designs Live at the Excel in London recently where I completed the build on stage. 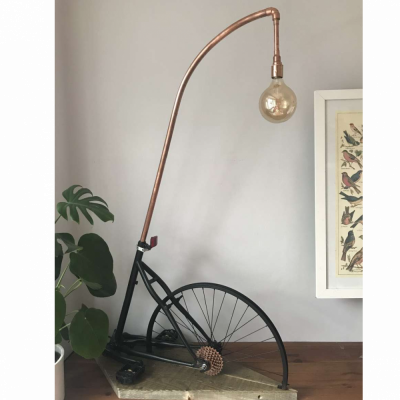 The lamp is made entirely from reclaimed materials and features a Matt black frame, wheel and pedals accented beautifully with copper gearings and brushed copper pipework. Black braided Italian cable completes the setup which is all mounted onto a reclaimed timber base. 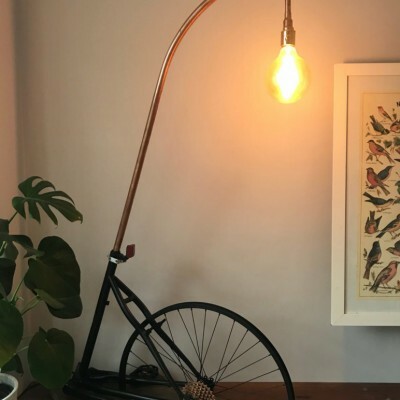 Be the first across the line and snap up this Raw Home original light design. 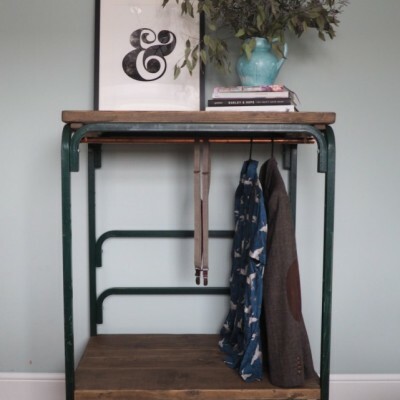 On sale now for £345.00 + delivery.